OTTAWA - Canada's inflation rate ticked higher in March despite lower gasoline prices, which partially offset a broad rise in other prices. Statistics Canada said Friday the consumer price index for March was up 1.2 per cent from a year ago. That compared with a year-over-year gain of 1.0 per cent in February. Economists had estimated that the inflation rate would remain at 1.0 per cent, according to Thomson Reuters. Excluding gasoline, Statistics Canada's consumer price index was up 2.2 per cent compared with a year ago, matching the increase in February. Prices were up in seven of the eight components tracked, led by higher prices for food. The Bank of Canada's core index, which excludes the index's most volatile components, was up 2.4 per cent. Economists had expected an increase of 2.1 per cent in the core rate. The central bank aims to keep the core rate close to 2.0 per cent. On a seasonally adjusted monthly basis, the Canadian consumer price index was up 0.4 per cent in March, following a 0.2 per cent increase in February. The seasonally adjusted core index was up 0.4 per cent on a monthly basis for March, following a gain of 0.1 per cent in February. Shoppers paid 3.8 per cent more for food in March compared with a year ago, boosted by a 4.2 per cent increase in food from stores and a 2.8 per cent increase in food from restaurants. Shelter costs rose 1.4 per cent, boosted by homeowner's home and mortgage index, which was up 9.1 per cent. Rent, property taxes and electricity costs were all also higher. The transportation group, which includes gasoline, dropped 3.9 per cent. 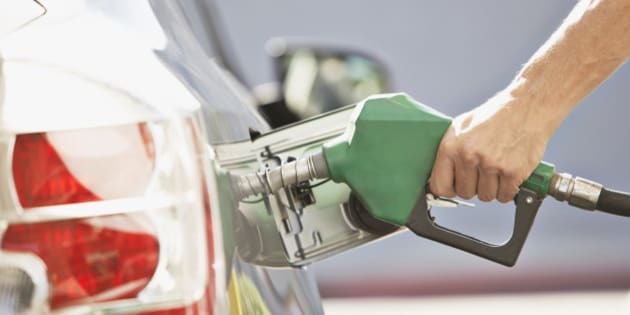 Gasoline prices for March were down 19.2 per cent compared with a year ago, however the drop was smaller than the 21.8 per cent year-over-year drop in February. Prices were higher in eight provinces, as Ontario posted the biggest increase of 1.6 per cent. Prices were lower in Prince Edward Island and Alberta as they slid back 0.8 per cent and 0.1 per cent respectively. Meanwhile, Statistics Canada also reported Friday that retail sales posted a gain of 1.7 per cent in February to total $42.2 billion following two consecutive monthly declines. Economists had expected a gain of 0.5 per cent for the month, according to Thomson Reuters. Retail sales posted gains in all 11 subsectors, led by general merchandise stores which climbed 5.6 per cent for the month. Retail sales were up in seven provinces, led by British Columbia, Ontario and Quebec. Newfoundland and Labrador, Prince Edward Island and Nova Scotia slipped lower.